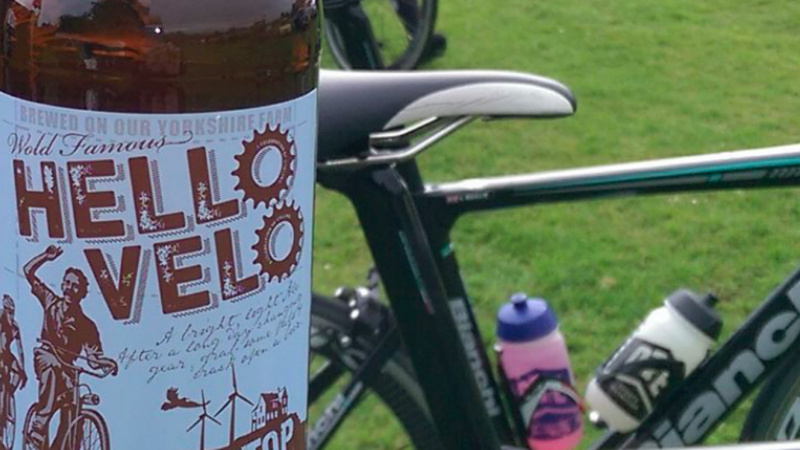 Today’s race was sponsored by the Wold Top Brewery who gave every rider a bottle of beer. I don’t know if it was the anticipation of drinking the beer at the end of the race or the worry of leaving it all with me while they raced that put the fire in the teams belly but they certainly rode very aggressively whilst at the same time being smart and took control of the race. Whichever vantage point I chose to watch the race from there was always Godfrey orange at or near the front of the race. It started on the first lap with David Ogg going away with two other riders gaining 30secs very quickly. The panic that ensued in the bunch was palpable with the other riders chasing hard to close it down. Immediately the break was made Tom Booth went over the top taking a few riders with him, the rest of the team sat in whilst the bunch worked hard to bring him back. Soon as it was brought back Karl Baillie launched a stinging attack which lasted half a lap. The other riders trying to put some control of their own into the race and formed a break, but it didn’t last long as Sam Smith brought them back on the long descent and the status quo was re-established. This was the pattern for the first half of the race with either an Academy rider forcing a break or closing one down. A lull ensued and just as the peleton was catching its breath George Sewell and David hatched another plan with George driving on with David on his wheel. Alert to the danger around 15 riders jumped across the gap and this was how the second half of the race proceeded. David and George knew the group was two big to take to the final but found themselves outnumbered as the riders had them earmarked as the danger men and so had to wait for the final as the peleton was now a minute in arrears. The finish line was up a gradual slope so George used his power to stretch out the group and put David in a good position for the sprint. With 20m to go David was in the lead but was just pipped on the line by two other riders and had to settle for a well fought third whilst George took a solid 8th place after playing the team role. In the bunch gallop Sam put Tom into a position were he could contest the sprint, all in all a good day at the office. Next week the team is competing in the Ilkley 2 day stage race with Luke, David and George whilst Sam, Karl and Tom will be racing in the Coalville Wheelers race. Now then where did I put those bottles of beer?